The Vice Chancellor of the University of Calabar, Prof Zana Akpagu has warned new students to desist from cultism and other forms of crimes, saying that appropriate sanctions would be meted out to students found to belong to nocturnal organizations and cult groups. Prof. Akpagu gave the warning at the 40th matriculation ceremony of the institution held at the Abraham Ordia Stadium, which involved over 9,200 students for the 2017/2018 academic session. Prof Zana Akpagu, while welcoming parents and well-wishers of the matriculating students, noted that the occasion marks the official entry of every new student into the higher institution of learning since it is a statutory gathering to formally admit deserving and qualified candidates that have been offered admission into the institution. 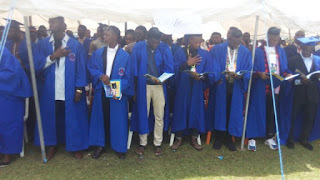 He further said that the ceremony also signifies the conclusion of the admission processes for the year disclosing a total number of 9200 candidates were offered admission from a total number of 37, 278 candidates who applied to the University of Calabar to study various courses being offered in the institution. The Vice Chancellor advised students to imbibe some of the best University tradition and culture in the course of studying to include: payment of School changes as at when due, Faculty and Departmental Registration. Others include; procurement of School identity cards (from UNICALCONS) as well as enrollment with approved social groups and associations noting that the registered associations would provide them with leadership training which could be very valuable to them in the future. Prof Akpagu informed the freshmen that they are not expected in any way or manner to socialize with any associations that has been proscribe by the University such as the infamous “secret cults” noting that the penalties for any misconduct are contained in the University Handbook. 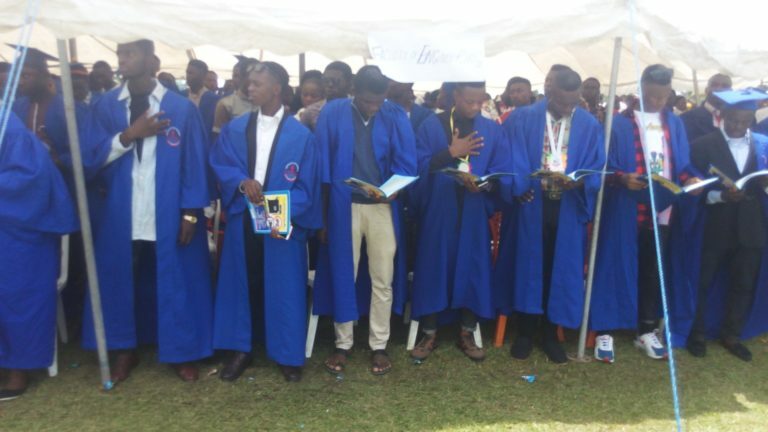 He called on the freshmen to keep to the tenets and ideals of the institution as the university will continue to provide a safer environment for teaching and learning, as well as equipping them to become what they want to be after their duration of their stay. The 10th Vice Chancellor assured students of maximum security in the University while appealing that they should not hesitate to report any suspicious activities to the Dean, Students Affairs, Security Officers and the Courses Advisers. According to him, the institution is working assiduously in ensuring that the University is put on the global map, hence; going into collaboration and linkages that are yielding very positive dividends to the university community.